— Servicing Major Brands -- Residential and Commercial. Licenced and trained professionals with over 15 years in industry experience. We always strive to do our best to accomodate everyones needs and offer same day service for emergencies. — Mention Ad to Redeem! We know we are the most affordable repair technician with the experience we possess in the entire Inland empire and surrounding area. Give us a call today! Servicing all major brand appliances (Maytag, Whirlpool, Kenmore, LG, and more! ), whether your refrigerator isn’t getting cold, ice maker won’t make ice, your dryer isn’t getting hot, or your oven won’t light, look no further than KL Appliance Repair. We repair refrigerators. 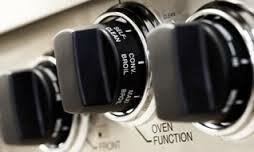 We repair ovens and stoves. We can even repair washers and repair dryers. Like you, we value some of the most (we think) underapprecicated members of our society. As a way of saying thanks, we offer 10% off any service calls for Military, Police, Fire and Veterans. We can't perform our services as well without your services! K&L Appliance Repair is your leading LOCAL technician. Over 15 years of experience in Service, Repair and Installations and striving to keep 100% customer satisfaction. Our technicians are licenced and professionally trained to ensure the highest quality of service at all times. We want to make you comfortable and happy! Repair, Maintenance and complete installations in all shapes and sizes. Check out some testimonials from some of our past customers. Call us at (909) 260-2035 when you're looking for appliance repair or parts.